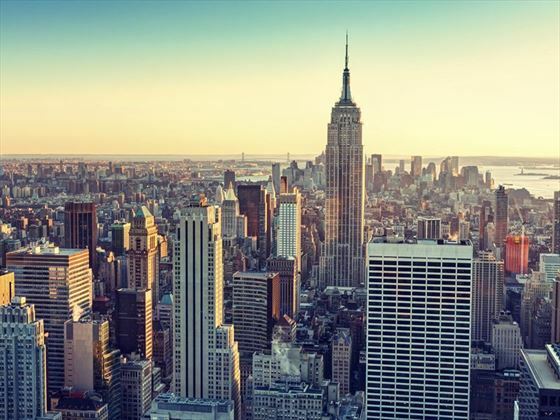 For the ultimate USA family adventure, begin with a New York mini-break and witness some of America’s most famous landmarks. 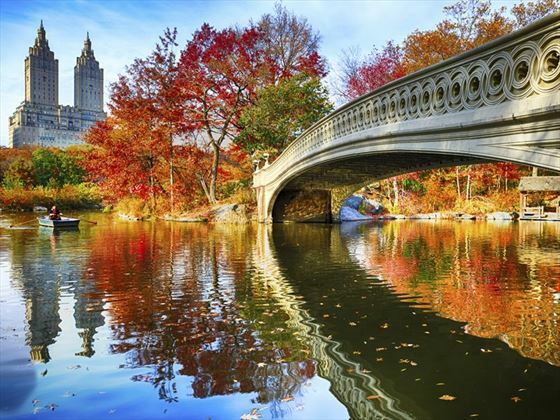 From Central Park (and Central Perk) to the Empire State and Brooklyn Bridge, there’s infinite sites to suit everyone. 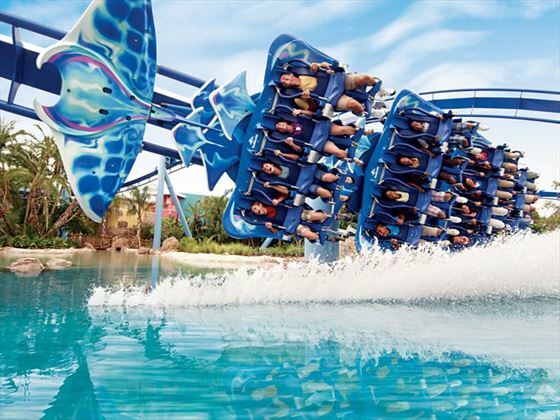 Next, brave the thrills and spills of Orlando's theme parks; from the anticipation DisneyWorld and Universal Studios, to the wildlife adventures of Bush Gardens and Discovery Cove. This twin-centre adventure is perfect for families seeking a taste of the two sides of the USA. 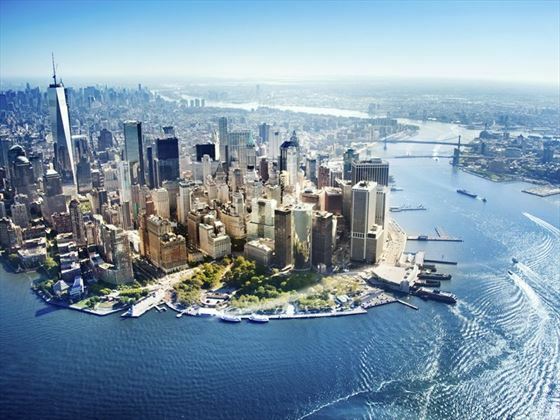 This incredible itinerary will see you spend 3 nights in the urban jungle of New York City, before catching a short flight to Orlando for 7 nights in the heart of International Drive. But if you think there's something missing, let one of our experts know and we can tailor to meet your every need. *From price is per person based on 2 adults sharing a standard room in low season. 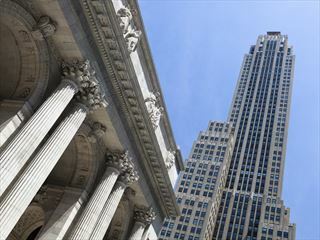 Direct flights to New York take approximately 7 hours. There are daily direct flights from all three major airports in New York to Orlando taking approximately 2hrs 30 minutes. Daily flights from Orlando to London take approximately 9 hours. 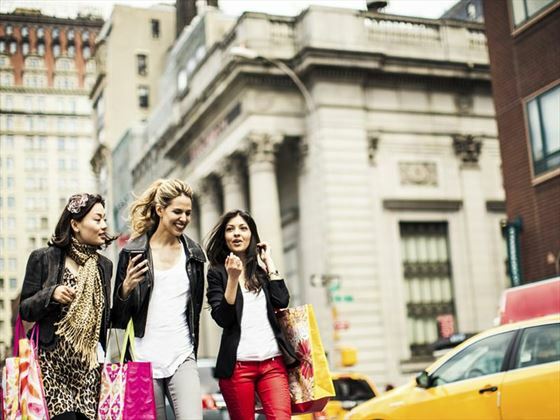 From JFK to the city centre you can take a bus, AirTrain, shuttle or a private taxi. Many of the sights in New York are walkable but there is an excellent bus and subway service and of course New York’s distinctive yellow cabs are available. If you have pre-booked a taxi or minibus transfer with us you will be met on arrival by our American Sky representative who will guide you to your transfer vehicle. If you have pre-booked car hire follow the instructions given on your booking itinerary. Shuttle buses take you from the airport to the various car hire depots. 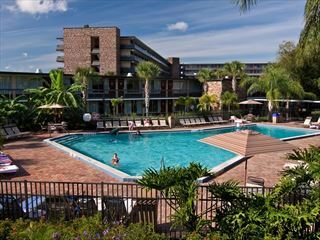 From Orlando International airport it is around 12 miles to International Drive and 25 miles to Walt Disney World Resort. 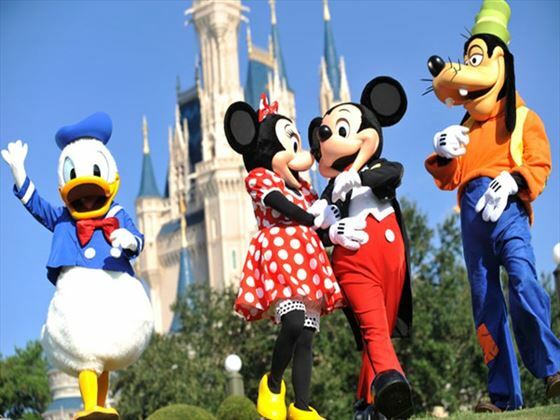 Car hire is highly recommended in Orlando and can be arranged for any duration of your stay. New York City is without a doubt one of the world’s most amazing cities, and there is so much to do in only a few days. Read our guide to see New York in only 72 hours to decide how you can pack it all in. Perhaps you have visited the city before? 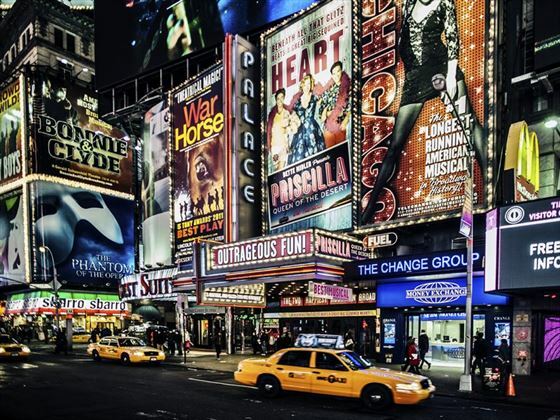 Read our top 10 things to do in New York for some more inspiration. 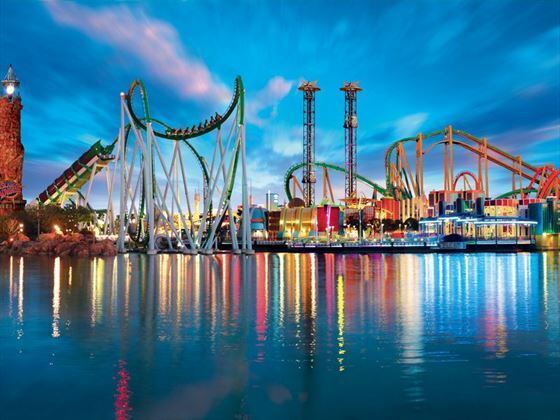 There are so many things to do in Orlando away from the theme parks, but there’s no escaping the fact that Orlando is unofficially known as “The Theme Park Capital of the World”. Walt Disney World Resort is where it all began in 1971 and covers 47 square miles, including The Magic Kingdom, Epcot Disney’s Animal Kingdom, Blizzard Beach and Typhoon Lagoon. 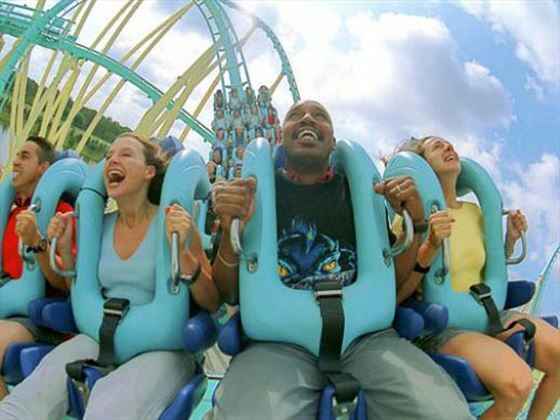 Universal Orlando Resort is another mammoth enterprise, consisting of the two theme parks Universal Studios and Islands of Adventure including “The Wizarding World of Harry Potter”, plus a night-time entertainment complex Universal CityWalk. 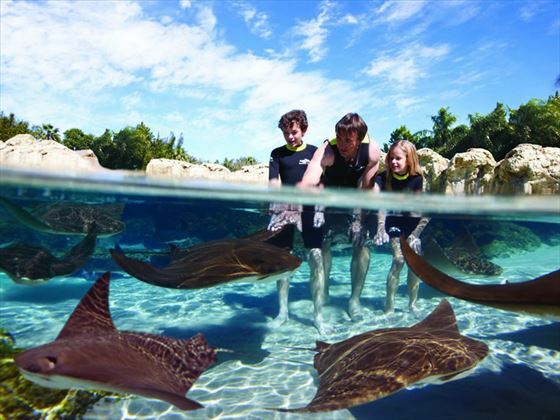 SeaWorld completes the trio, which includes Discovery Cove where you can swim with dolphins and the water park Aqautica. 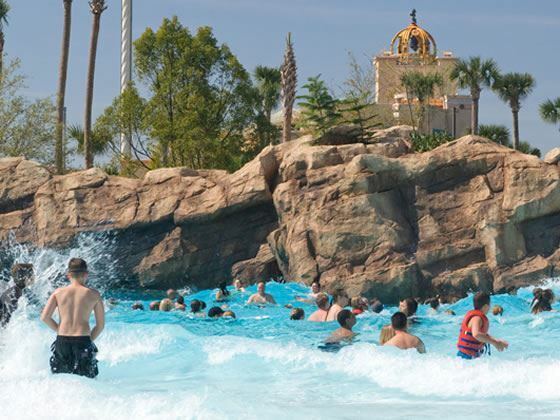 For more details of these attractions, click on the specific section within the Orlando Travel Guide. American Sky can pre-book your attraction tickets. 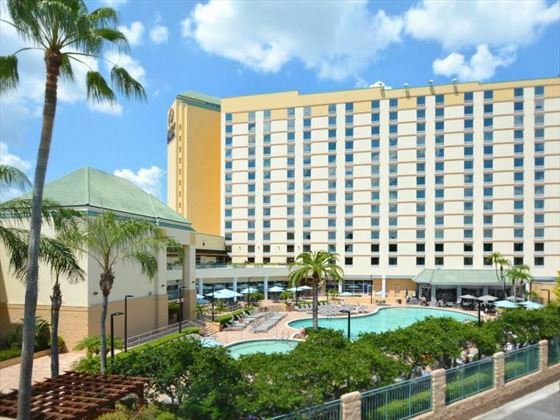 We know the Edison Hotel and Rosen Inn International make for a great hassle free twin-centre, with both hotels offering a great base for getting out and about with comfortable rooms. However you can choose from a wide collection of our recommend hotels in New York, and over 30 hotels, apartments and homes in Orlando. The hotel’s excellent location makes it convenient to walk to a variety of activities, restaurants, shops and Wet n’ Wild. Additionally there is a free scheduled shuttle service to Universal Orlando, SeaWorld, Wet ‘n Wild and Aquatica. The hotel has refurbished the comfortable and well-equipped bedrooms. There are two swimming pools and children’s wading pool, a children’s playground and a range of eating and drinking options. Bringing the whole family? A villa or home is a great option for your holiday if you are looking for a great base and to take things at your own pace. Choose from our wide selection of villas & homes in different locations around Orlando. We recommend Glenbrook Homes for first time visitors to Orlando, as they offer an ideal location with great communal facilities. Disney Area Homes are perfect if you plan on visiting Disneyland, check out our Disney Area Executive Plus homes which come with their own pool. Built in 1931 in the grand Art Deco style this hotel is located in the heart of the historic theatre district and steps away from the lights and activity of Times Square. The Hotel Edison, built in 1931 in the same grand Art Deco style as Radio City Music Hall, is situated in one of the most dynamic sections of New York City. It'll come as no surprise that the hotel is just as contemporary and stylish as it's metropolian location, with sleek interiors adding to its trendy feel. All of the rooms and suites here are well-appointed and sophisticated, with luxurious amenities ensuring you have a restful stay. Just outside the lobby you'll find The Rum House, a cool space where you can mingle with the locals and enjoy rum based cocktails. Boasting a great location on International Drive, the Rosen Plaza is a contemporary hotel with a wealth of facilities to enjoy. 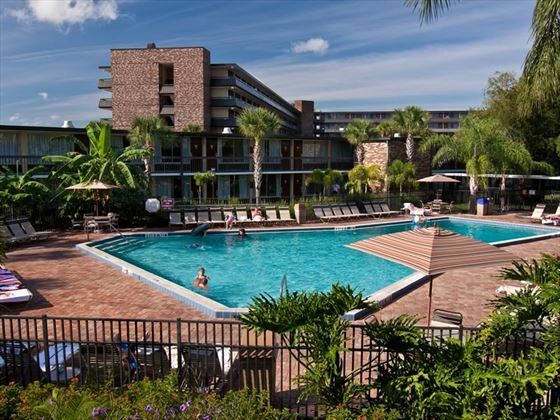 We think the location is amazing, with all of Orlando’s top attractions within easy reach. There’s a vast array of comfortable and modern rooms to choose from, with all the facilities you’ll need for a relaxing stay. The heated swimming pool and whirlpool spa makes for a relaxing area where you can unwind after a day of exploring. There’s a fitness centre on-site for keeping active during your stay, as well as being just five minutes from the Rosen Shingle Creek Golf Club. Pick up last minute souvenirs and gifts at the gift shop, or head across the road to Pointe Orlando – this vast complex has everything from shops, bars and restaurants to 21 cinema screens! The choice of dining is brilliant too, with something to suit the whole family. Top tip: - Pre-book your breakfast at the time of booking and you’ll be guaranteed to be fully fuelled for your thrill filled days at the theme parks.